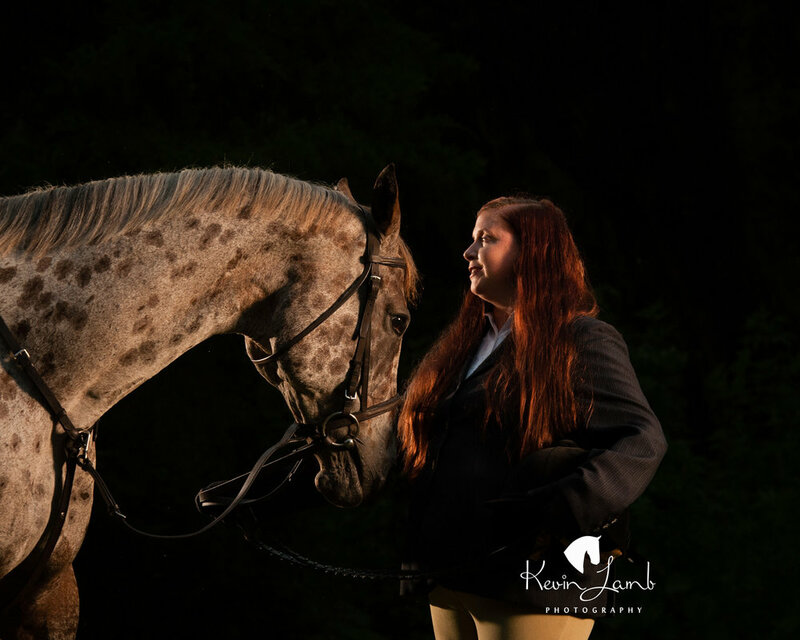 Kevin Lamb Photography recently had the opportunity to photograph Kari & her Leopard Appaloosa, April. 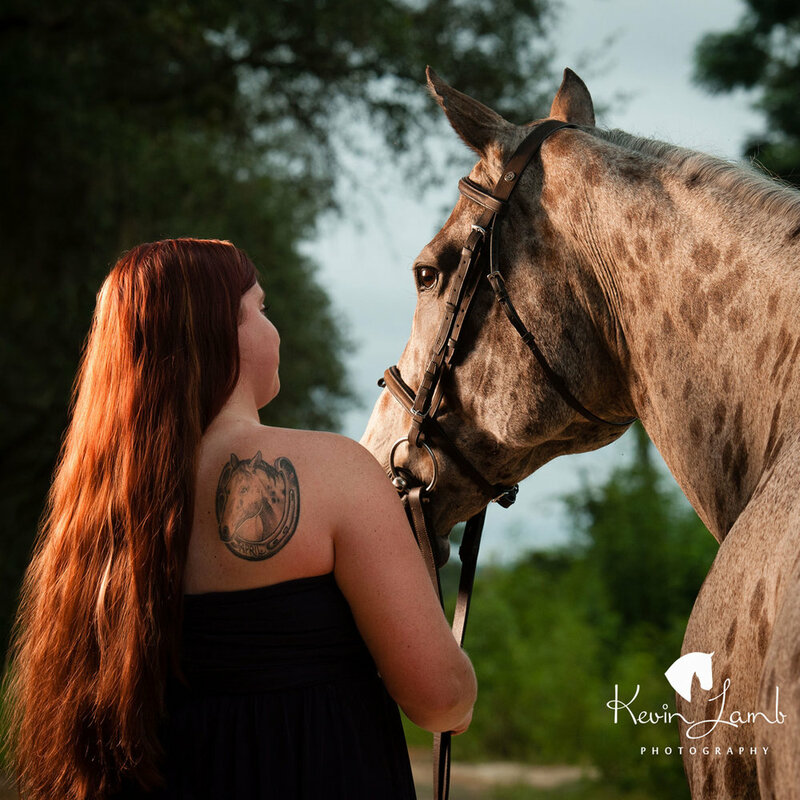 We are very fortunate to have an active Fox Hunting community here in the Thomasville GA / Monticello FL. area. Missy, Hannah and I wasted no opportunity to make the best of every location, hauling lights and camera gear to places I'm sure they were never intended. The resulting images produced however, make all our efforts worth while. We made images in casual apparel - jeans and black shirt, a formal as if prepared to attend the Foxhunters Ball, and of course in "Full Cry" Fox Hunt apparel.